It is a well-known fact that an organisation’s most important asset is its staff. 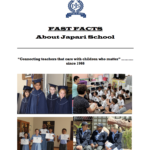 Japari recognises this and actively promotes further professional development of all staff. A significant percentage of our annual budget is allocated for professional development courses, activities, educational conferences etc. Many of our staff are studying further and Japari encourages this professional development. Staff are sent on numerous courses and conferences. Ongoing professional development keeps teachers up to date on new research on how children learn, emerging technology tools for the classroom, new curriculum resources and more. In the 21st century it is imperative that our teachers have the knowledge, skills and support necessary to integrate ICT into teaching and learning. Pupils are more digitally focused than at any time before. They spend more time interacting with their mobile devices, than they do with their parents or close relatives. Our teachers today need to be information and technology literate, to think critically and problem solve, be creative and inventive, be able to communicate and work collaboratively, be globally aware and be self-directed. To aid our teachers to achieve the above, Japari has embarked on a programme to create a Blended Learning Environment throughout our campus. Our goal is to provide the most efficient and effective instruction experience by combining different delivery modalities, i.e. an integration of instructional media into a traditional classroom. Blended learning has a number of educational advantages. Most specifically, in our specialised learning environment, it allows teachers to customise lessons to pupil’s specific needs. There is research that pupils engaged in a blended learning environment actually perform better at their studies, in particular in reading and mathematics (Chicago Virtual Charter School 2011). Each classroom at Japari has been equipped with a desktop/laptop computer, ceiling projector, and sound bar and has been cabled to receive internet connections. In addition, teachers have been issued with IPads and a number of Wi Fi; “Hot Spots” have been created on campus. Teachers also have access to interactive white boards and Kindle readers. Japari staff are exposed to regular in-service training workshops which cover a wide spectrum of school specific issues. These could cover amongst many others, auditory and visual screening feedback sessions, to positive discipline and IPad training. Individual teachers: Every class teacher has a stock of equipment, games and puzzles and additional text books. This stock is overseen by the relevant HOD. The School Library has teachers’ manuals and guides plus additional class readers, CDs, charts and posters, as well as other relevant reference material in all the subjects taught at the school. In addition, extra batches of class readers are available from the Library. The Reading Department which administers all the sets of readers used within the school, but many other valuable resources are available to the Reading teachers from the Library. These include Audio and Read – Along books with CDs, comprehension, Grammar, problem-solving and spelling work books, plus posters. There are also two kindles controlled by the librarian which children use within the library to become acquainted with digital books. General information guides: Which deal with different aspects of children with learning difficulties and the most suitable environment for them. Teachers and parents can seek inspiration and guidance from these books, as and when they need to do so. At Japari, research and experience help us to recognise that high quality ongoing professional development deepens teachers’ content knowledge and pedagogical skills; provides opportunities for practice, research, and reflection; and includes efforts that are job-embedded, sustained and collaborative to ensure that our teachers grow professionally, can teach our children using modern and effective methods and thereby receive a high level of job satisfaction.